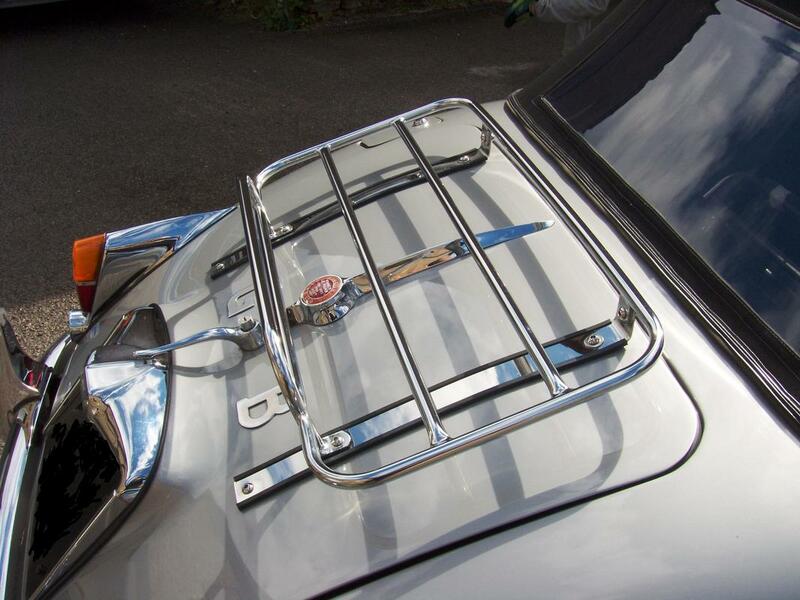 We have a choice of three styles of luggage rack available for the Jaguar XK 150. 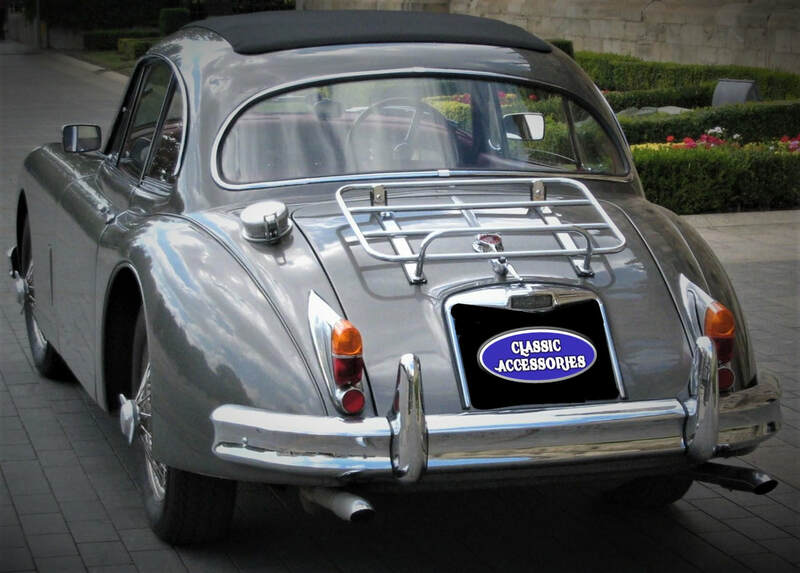 Premium specification, mirror polished Traditional Style boot luggage rack with bespoke fittings suitable for the Jaguar XK150. Premium specification, mirror polished Classic Style removable boot luggage rack with bespoke fittings suitable for the Jaguar XK series cars. ​Supplied with two mirror polished stainless steel side clamps, Allen hardware and rubber paint protectors. ​This luggage rack is built to special order only. When ordering this product, our engineers will require the shut line clearances from either side of your Jaguar's boot lid. 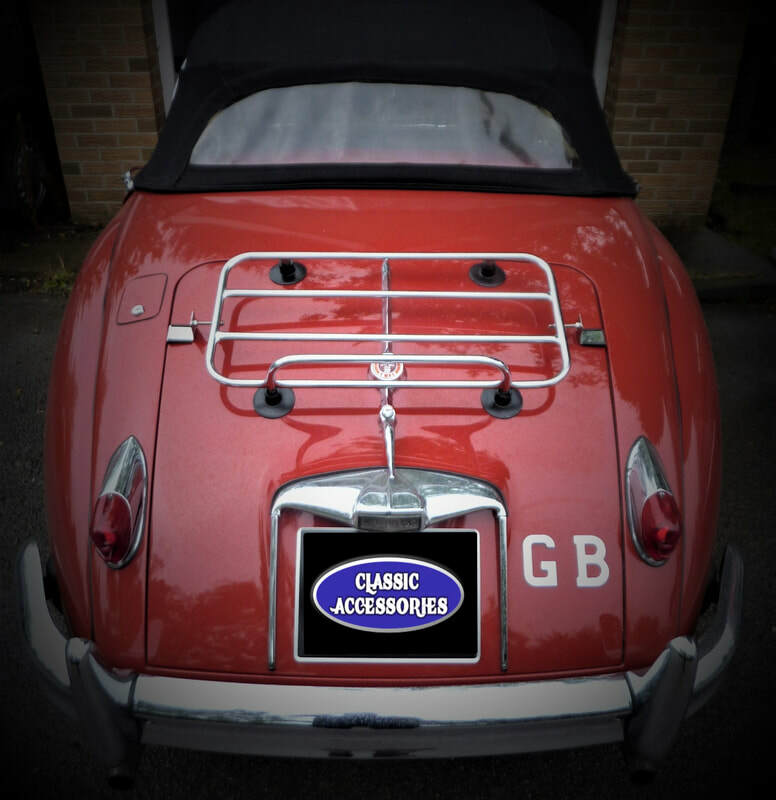 The clearances or tolerances between the boot lid and the rear wings may vary from car to car, depending on whether the vehicle has been restored. Please contact us for more information and an annotated photo of the measurements required.